In a large skillet, cook chicken in evoo until fully cooked. set aside. 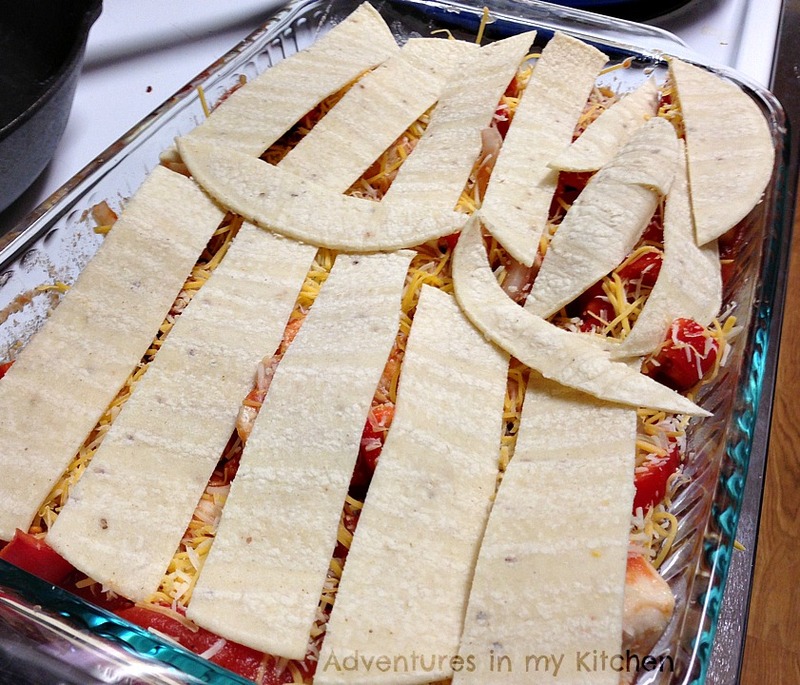 In a 9x13" baking dish- mix together tomato sauce, chili powder, garlic powder, onion, bell pepper, and diced tomatoes. Add chicken and mix to coat completely. 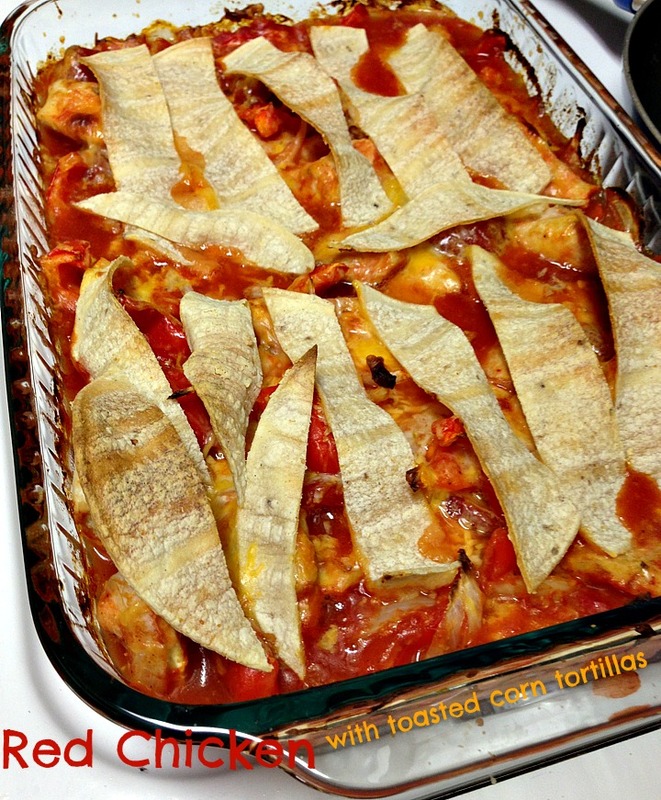 Sprinkle chicken/veggie mixture with cheddar cheese and top with tortilla strips. Bake for about 20-30 mins until the tortilla strips are nice and crispy. Yum! Saw this post over at Hungry Little Girl! 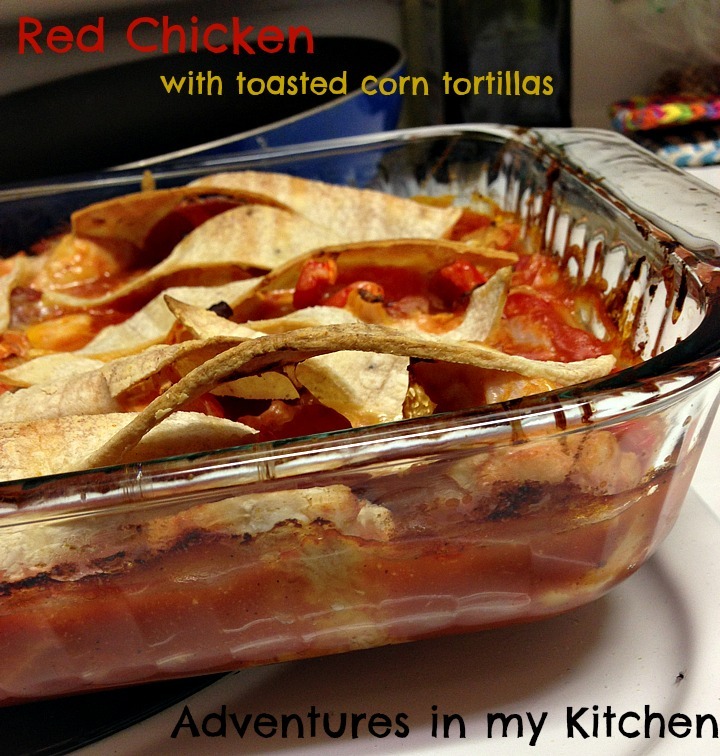 I love new twists on Mexican food! Thanks for sharing!